In 1994, I had the opportunity of participating in a seminar on tourism and conservation promoted by the Netherlands government. The seminar talked about tourism impact on the environment and communities and its potential to contribute to conservation. As sales manager for the Hampton Inn hotel, that seminar inspired me to what I thought was an epiphany! I thought my idea was so original and I thought I could save the world. So, I run with it to the Ministry of Tourism (ICT), where I met with Rodolfo Lizano. A very elegant man, behind a very large desk. I was a 24-year-old woman, trying to conquer the world, but at that point I just needed to conquer my high heels shoes. Needless to say I was kind of intimidated by that first encounter, but Rodolfo proved to be a kind and witty man, full of passion for the same matters that obsessed me. After pitching my idea, Rodolfo with a big smile, informed me that their department, under their lead was already working on something exactly the same! 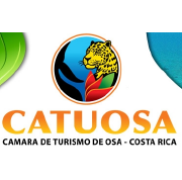 This was the commencement of the ICT’s sustainable tourism certification. Rodolfo invited me to stay on board as an advisor and him and his team, my friend Alberto Sanchez among them, suggested that we would help research and share with them our findings about technology, good practices and more. That’s is how I found Jim Damalas! Si Como No Resort & Wildlife Refuge. It was this beautiful nature resort on the Central Pacific Coast owned and run by Jim. He had started working in diminishing the impact on the environment of their operations from the first stage of development. When nobody else, that I am aware, was talking about responsible tourism and best practices, Jim was already worrying about how to make sure that his operation would have the least possible impact on the environment and benefit the most amount of people in the communities of Quepos. Time went by and I left the Hampton Inn, and later the Marriott Hotel, to run a small hotel, not too far from Si Como No. My path crossed with Jim again and we started sharing evenings with glasses of wine over conversations about tourism and concepts regarding Best Practices, about concerns of over development and about how to protect the Manuel Antonio National Park, its buffer zone and the squirrel monkey (or titi, which is the areas iconic species). I was learning so much from this man and his ideas and knowledge about tourism, marketing, conservation and hotel business that was forming the philosophy that later became my core work values. Manuel Antonio was also an amazing place to learn. Some of people that ended up in Manuel Antonio from all ages, countries and walks of life were like characters from a García Marquez novel. There were those that pushed for conservation and low intensity development and those trying to bribe their way to fast, easy money. I had the chance to join Jim and other local leaders in the fight against these rogues and held the municipality accountable for their corruption. After a couple of years in Manuel Antonio and being so inspired by the amazing learning experience it was, I felt I could no longer work for the for-profit sector. It was time to move to a non-profit organization and try to help the environment and the communities thru a different platform. That is how I landed at the Corcovado Foundation. After 16 years working for this organization, we have been able to deliver environmental education to more than 3000 children and more than 22 schools. We have trained more than 500 tourism business employees in the Southern and Central Pacific about Best Practices. This has been accomplished by the endless commitment of our team, who have been relentless, regardless of the financial situation, the weather or any other circumstances. Almost 2 decades later, the circle is complete. 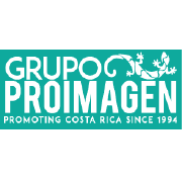 Jim has become one of the members of the Corcovado Foundation Board of Advisors and Si Como No is helping the foundation by collecting voluntary donations from its guests to support our environmental education program. This month, the hotel collected the sum of 450 USD which will enable us to maintain our efforts. When I think about my life and the amazing opportunities that have been bestowed upon me, meeting great thinkers like Rodolfo Lizano and Jim Damalas… I can only say Thanks!